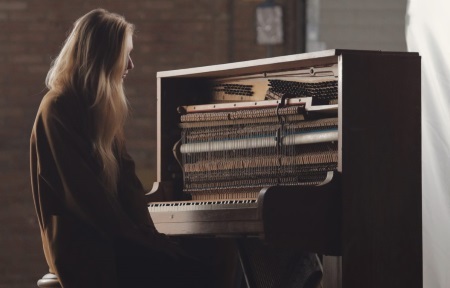 Dutch pianist Annelie de Vries has been making a living as a highly regarded musician for hire in the pop and dance scene. Her debut album After Midnight has nothing to do with mainstream popular music at all. It's an all instrumental neo-classical record, just her and a piano. She had some sketches lying around and she turned those into full-fledged, subdued excursions, making it a seamless listening exercise. If there is recurring theme on After Midnight, it's the search for peace and quiet in an increasingly loud and busy world. Annelie has made an album on which note counts, pulling in the listeners with her gentle touch and exquisite timing. After Midnight is released thru Sony Classical. Release date: September 14.